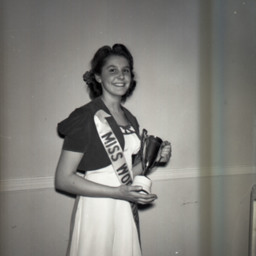 Photograph showing an unidentified woman who is to be holding a "Miss Woodstock 1942" cup. 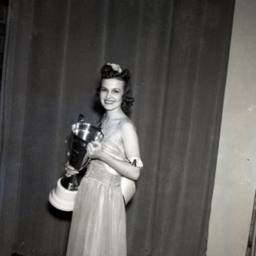 Photograph showing an unidenidentified woman who appears to be holding a beauty pagent cup. 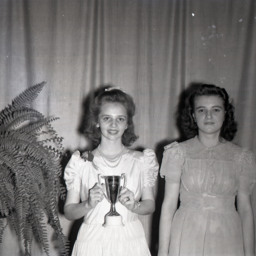 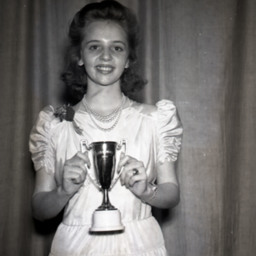 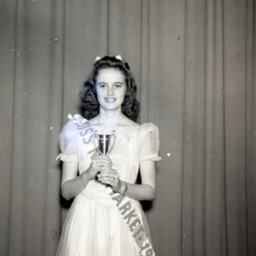 Photograph of "Miss New Market 1942" with a trophy cup. 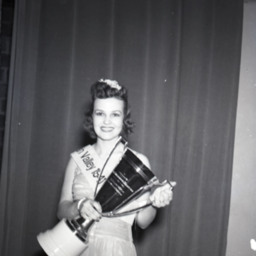 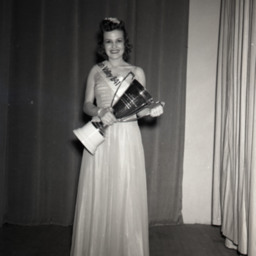 Photograph of "Miss Shenandoah Valley" 1941 with her trophy. 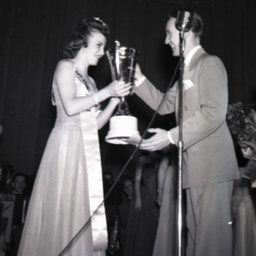 Photograph showing an unidentified woman receiving a trophy from an unidentified man at the 1941 "Miss Shenandoah Valley" pagent. 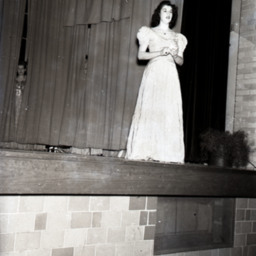 Photograph of an unidentified beauty pagent contestant performing at an undated "Miss Shenandoah Valley" pageant. 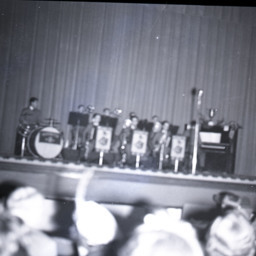 Photograph showing an unidentified band performing at an undated "Miss Shenandoah Valley" beauty pageant. 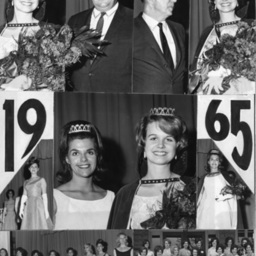 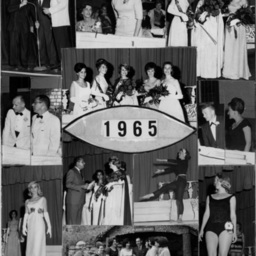 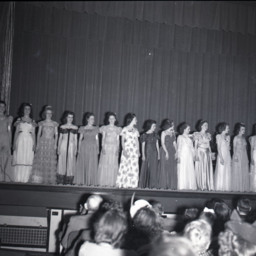 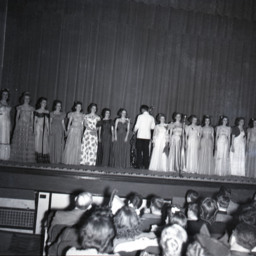 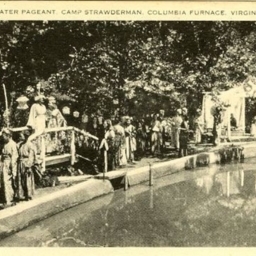 Photograph showing contestants at an undated "Miss Shenandoah Valley" beauty pageant. 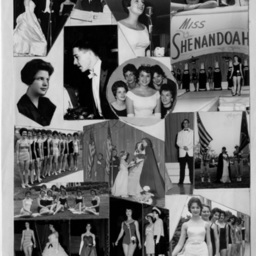 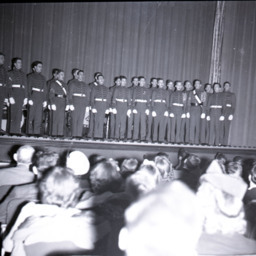 Photograph showing a group of Massanutten Military Academy Cadet singers perfoming at the "Miss Shenandoah Valley" beauty pagent. 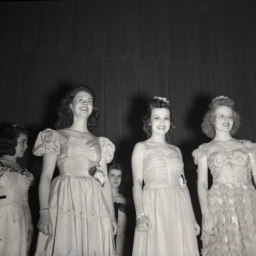 Photograph showing three contestants at an undated "Miss Shenandoah Valley" beauty pageant. 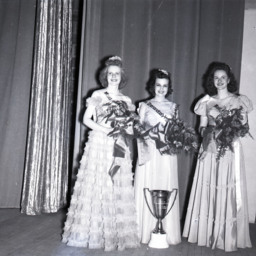 The women appear to be the contest's winners and runner-ups.